Each of us when is interested in other country requires translation. Even if you well know language of the studied country, you all equally should use the dictionary for that what to peep there not clear word. Below I write my own review of services for text translation. Most simple interface and as consequence - is quickly loaded. Translation quality at great level, because Google is wide experience in information search in various languages. A convenient opportunity of translation of the necessary page being on specified url. A unique minus that you cannot be completely assured of translation because English-Russian translation from Google - in stage BETA. Translator of one word. But that is unusually that there is an opportunity to use others slavic Languages - not only russian language. Translates only one word, but deduces synonyms which simplify understanding of a word meaning quickly. 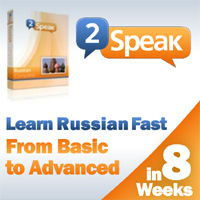 English-russain dictionary and russian-english dictionary is based on files compiled by Stanislav Sinyagin. This translator has two basic pluss: 1 - there is an opportunity to translate only one word, 2 - there is an opportunity at once to translate the text. Very powerful translator. Translations offers free text translation service for English, German, French, Spanish, Portuguese (Brazilian), Italian and Russian languages are possible.